With 79 locations across the country and recognized by national fitness authorities, CKO Kickboxing is one of the leading gyms of its kind in the country. The facility specializes in providing fitness kickboxing lessons, as well as helping people get acquainted with one of the most powerful calorie-burning workouts out there. There are CKO Kickboxing branches in various locations in America. Founded by Joseph Andreula in 1997, the first CKO kickboxing gym was opened at Hoboken, NJ. Now, they have 79 branches nationwide, with each having very strong membership stats. It was mainly successful because of Andreula’s “Take It To The Max” program. The rise of this workout coincided with the rise in popularity of CKO Kickboxing. Each branch has different operating hours, but all of them are open 7 days a week. With a membership, you can enjoy unlimited access to kickboxing classes at any day. Being a member of CKO Kickboxing entitles you to unlimited access a very dynamic workout and an exciting kickboxing routine which will surely challenge you. People of different fitness levels can engage in different group fitness activities. Don’t worry about lacking skill or conditioning; the pace is adjusted accordingly for everyone enrolled. Personal trainers are readily available at CKO Kickboxing. All of them have been trained to teach kickboxing and can customize a program according to your fitness level and goals. The price of getting a personal trainer may vary from branch to branch, but they are generally priced affordably. Ask the nearest CKO Kickboxing branch near you for more info. The setup of CKO Kickboxing is very business-like. In the workout area, there are heavy bags everywhere, providing a preview for visitors of what to expect. The workout area itself is clean and free from unnecessary clutter. All members would have enough free space to do their routines without fear of interfering others. Another strong point of CKO is their trainers. Whether you are enrolled in a class or in a personal training session, their competence and positive attitude will keep you pushing forward. They also have a traditional gym for those not taking kickboxing classes. And though some may say that this part needs improvement, their gym facilities are still adequate. CKO Kickboxing charges an initiation fee of $49.99. Membership is available in both monthly and annual schemes, and you can choose to get membership for 1 or 2 people. Getting full membership not only gives access to unlimited kickboxing sessions, but it also provides unlimited gym access and nutritional consultation, among other perks. 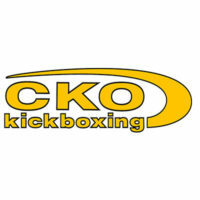 There is no guest pass program available in CKO Kickboxing, but they do have a trial class. To avail this offer, you need to sign up directly in your chosen location. Aside from having a free full kickboxing session, the trial class provides a basic orientation on kickboxing, such as basic punches and kicks and proper warmup technique. The branches of CKO Kickboxing do tend to have a very basic feel to it. It doesn’t have much when it comes to bells and whistles, but the dynamic workout makes up for that. The kickboxing area is spacious. Every gym member can make use of the available equipment without worry that they might collide or interfere someone else’s routine. A separate area for a traditional gym is available in virtually all branches. You get gym standard fare such as dumbbells, barbells, strength training machines, and cardio machines. You can join as many kickboxing classes daily as you want if you become a member. Personal training sessions can be availed at an extra cost. For more information on CKO Kickboxing membership and cost, visit official site .